Recover data from damaged and orphaned OST files by converting the Exchange Offline OST Files into PST Format. No changes are made to the file structure of the OST File after the conversion. The data integrity of the OST File remains intact. The software generates a report of the whole process after the conversion is complete in the CSV format. 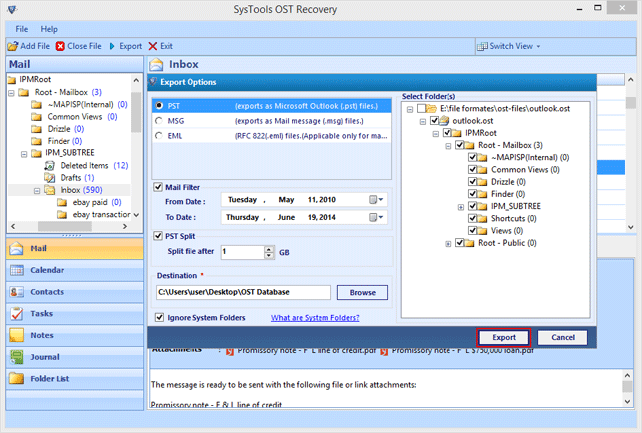 Apart from the PST format , the Outlook OST file can be exported in other formats like EML or MSG file formats. The size of the PST File generated is too large. The software allows you to split the file into small sized files to manage them easily. In Brief about Exchange OST Files: OST or the Offline Storage File is the major storage entity of Microsoft Exchange Server where the email data of all users, present on the Exchange network, is saved. All the emails, which are sent or received by the organization, are collected here in the Exchange Server OST files. Employees, which are the email system users, have accounts in the Exchange Server; through which, they access all their mails, but if any user is not online then his emails can be downloaded and stored offline in the OST files or the Offline Storage File. Mailbox Deleted from Exchange Server! Sometimes it so happens that your mailbox somehow gets deleted from the Microsoft Exchange Server. This can pose serious harm to your work operations because this can result in the loss of crucial mailbox data. Due to mailbox deletion, you fail to access your OST files, which hamper your crucial official operations, transactions, and interactions. OST PST Rescue Measure: Your Exchange mailbox OST file lies safely and securely at one place in case you have not altered your original Exchange profile. Now, you have the fortunate possibility of accessing your Exchange (Outlook) in the offline mode with your still safe OST file. A reason to smile is there for you as you easily recover your OST file data by performing the process to convert OST to PST. 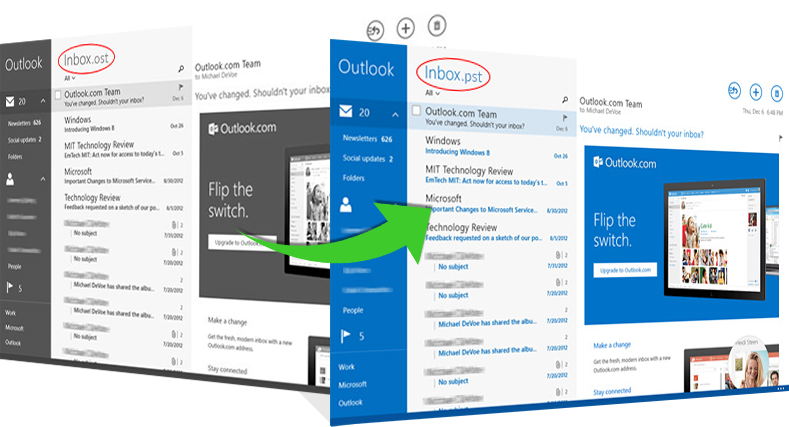 After OST PST conversion, you will be able to view all your OST file data in Outlook PST file. How to Convert OST to PST? 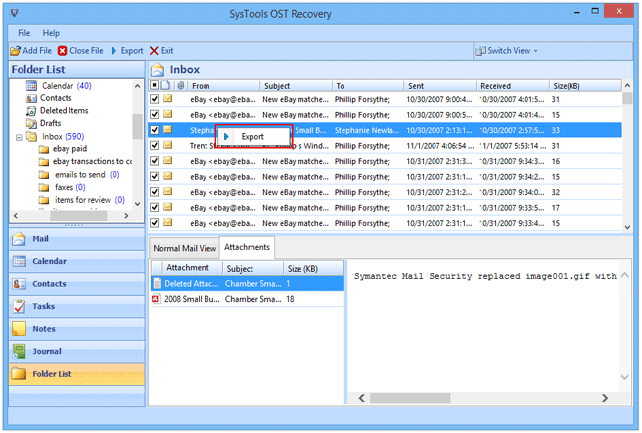 If somehow you happen to lose your significant email data information stored in Exchange OST files after the alteration or deletion of your Exchange Server mailbox, then to overcome such situation, you can convert OST to PST. Using some pertinent OST PST conversion tool, you can easily and quickly perform OST PST file conversion. You can use OST Recovery software, which is a third- party OST PST converter that will help you solve your problem in no time. 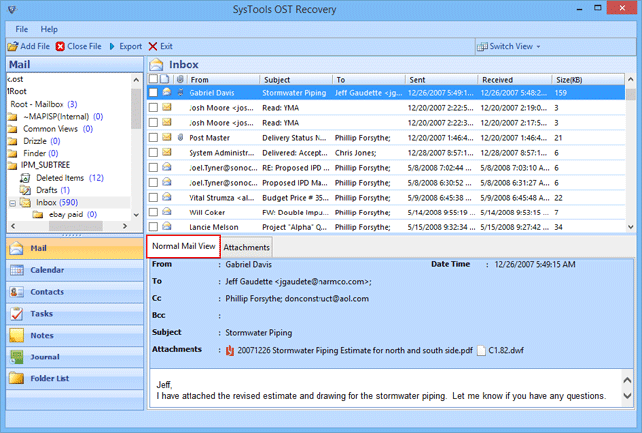 The software is Outlook 2007 supportive also besides supporting other Outlook versions. 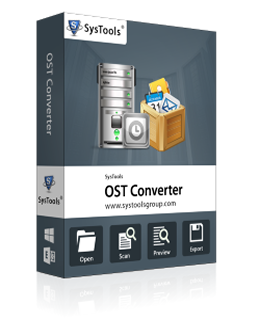 So, you can use this OST PST file converter for OST PST conversion 2007 to convert OST to PST Outlook 2007. In a Nutshell: OST Recovery software can help you overcome the Exchange OST email data loss trouble. Step 2: Scanning Process of OST File. What is the default location of the OST File? What type of PST file is generated by the software? 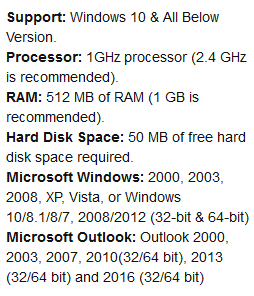 The PST file of UNICODE format is generated by the software which can be accessed in Outlook 2003 and above versions. Is there any size limitation to the OST File? No , the software does not impose any size limitation to the OST file. OST file of any size can be used. Can i restore the OST file using the software? 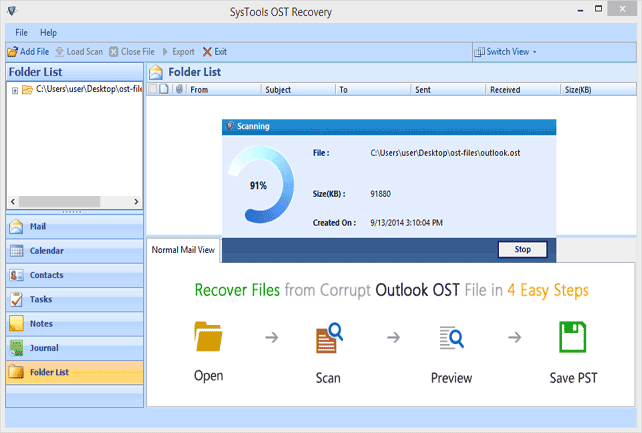 Yes , damaged or corrupted OST Files can be repaired using the tool and then saved into EML or MSG or PST file formats. 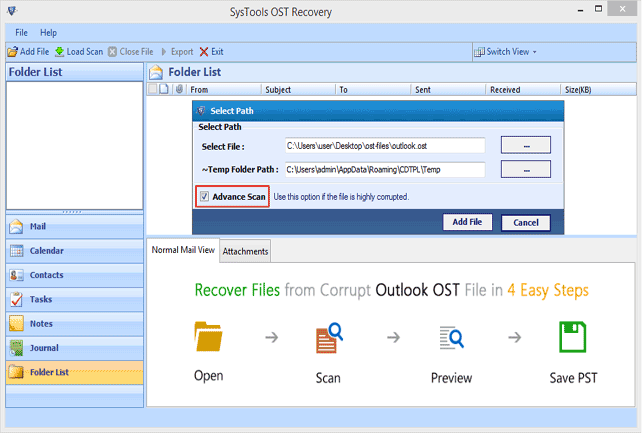 The best features of the tool are that it can easily recover all the items of the Outlook OST files such as emails , calendars , contacts, etc and convert multiple OST files at a time thus saving a lot of time. Using the Advance Scan option of OST to PST converter I was able to recover the damaged Offline OST file and again access the data. Thanks a lot!! !